Chili pepper growing using trellis. 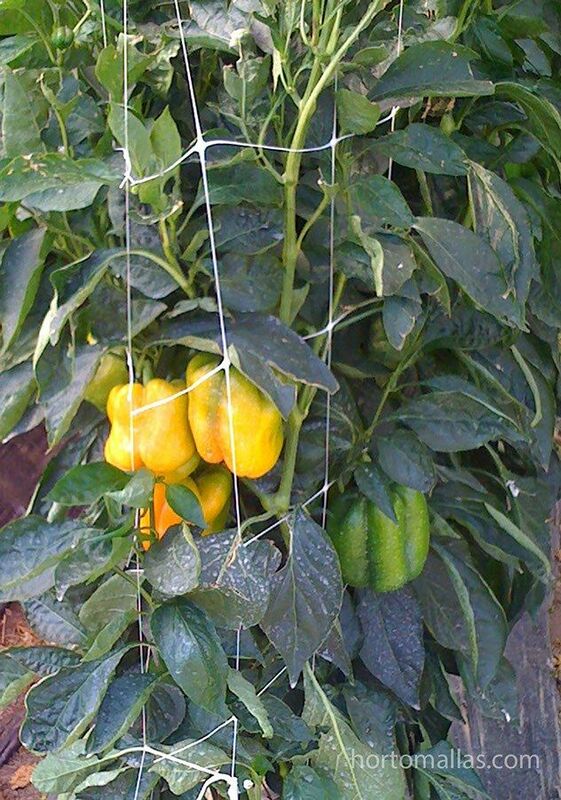 Pepper crops require a support on both sides of the groove, to prevent the weight of the fruit troce branches. 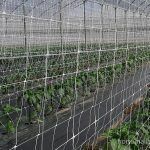 The double mesh gives better support crops, reducing labor and the spread of disease by mechanical transmission. 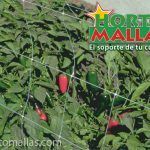 Using trellis netting while growing sweet pepper (Capsicum annuum) or chili pepper in greenhouses has proven a positive alternative to increase productive performance of this solanaceous, in order to meet market demand of this vegetable. In Mexico most part of what is produced is destined to exportation, both open field and greenhouse production. 5800 Hectares are harvested each year throughout the country, with an efficiency of uo to 50 tons per hectare. Exporting to US and Canada has been uprising reaching a maximum of up to 240,000 tons a year. Also reducing rate for virosis transmission. Chili pepper and tomato crops are very easily infected by manual handling mechanical transmission of pathogens. 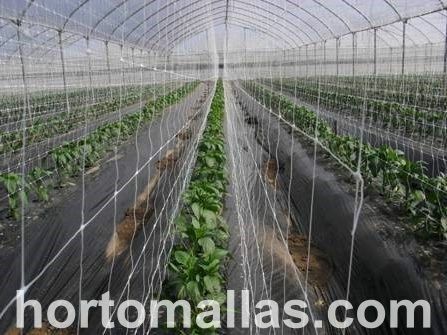 The trellis net helps prevent the spread of disease by mechanical transmission. 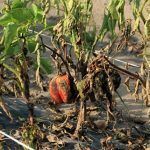 When a worker walks between furrows of chili pepper he will always be touching infected plants (or having the remainders of a cigarette in their hands will risk the tobacco virus) continually touching plants is considered an agent/vector for viruses. 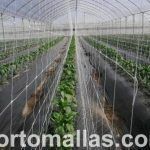 Tutoring nets using double trellis net reduces mechanical stress. 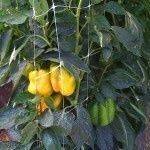 By avoiding workers having to tie manually the plant during tutoring work, using twist ties or plant clips to fasten branches while they grow (because anyways the double trellis netting system supports the plants on both sides) reduces pathogen transmission. This vegetable plant tutoring system works perfectly wether its used in open field or greenhouses regardless if the double support netting system is tied to the greenhouse structure or using poles anchored to the ground. 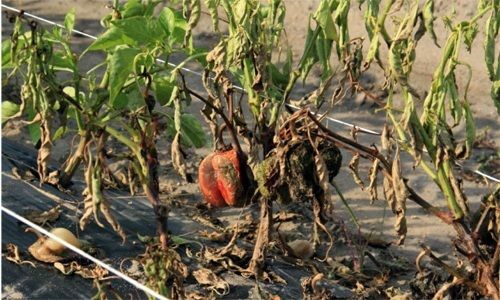 Is important to take into account that besides a decreased pathogen transmission, this double training net system decreases plants mechanical stress, which causes a decrease in yields of approximately 10% on total production. 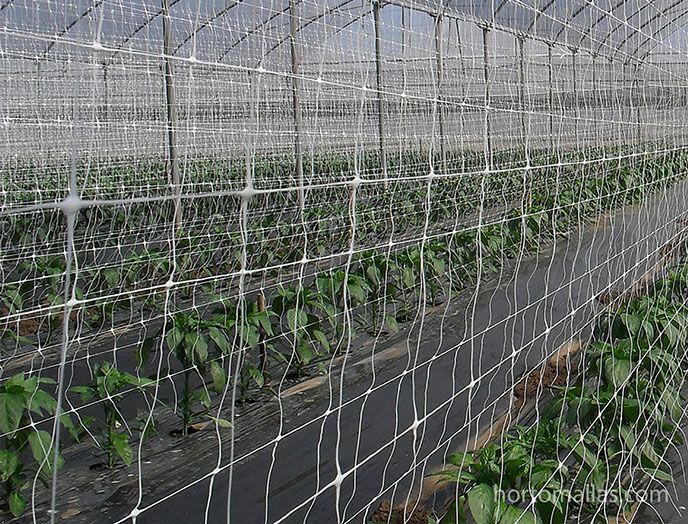 Using trellis netting you reduce labor costs and the manual transmission on pathogens. 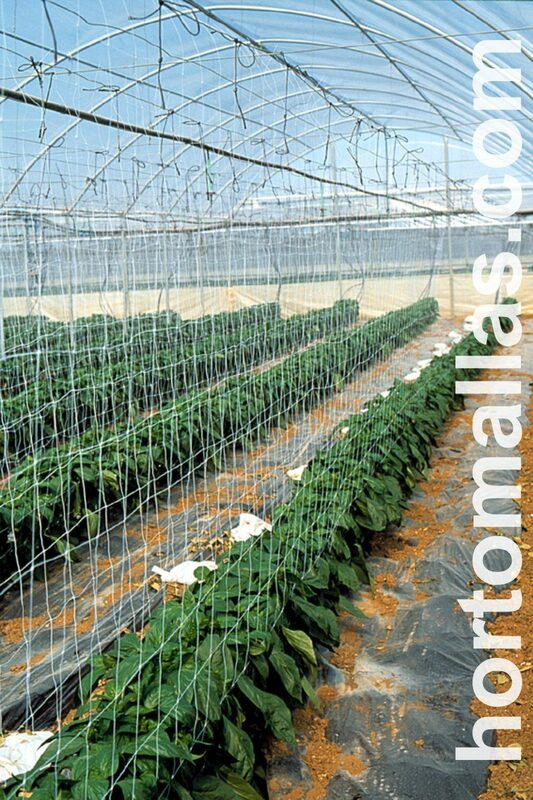 In cultivated plants using the trellis net in double rows, thus the plant is supported by both sides of the groove it is recommended. 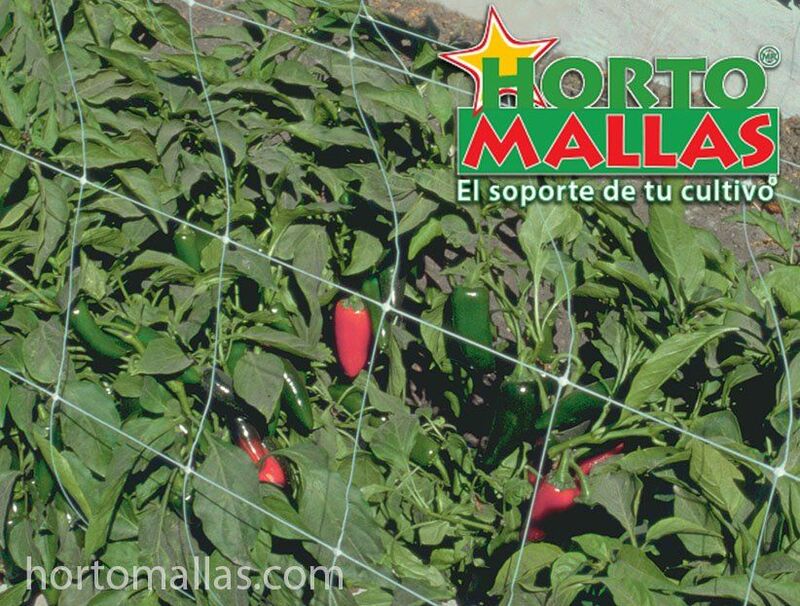 Using trellis netting you reduce labor costs and the manual transmission on pathogens So bell pepper tutoring and trellising chili pepper and by using HORTOMALLAS contributes to better plant health, and cost reduction thanks to a reduced use of agrochemicals. 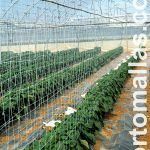 Also plant yields will increase as a better pollination and better air flow will keep under control any excessive humidity that can be harmful to the plant.